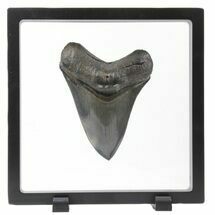 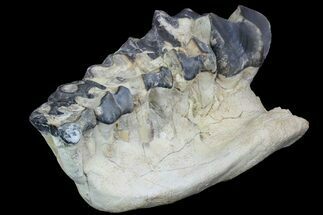 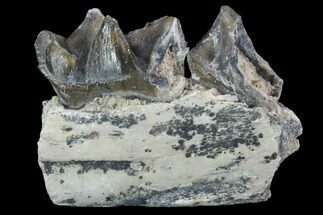 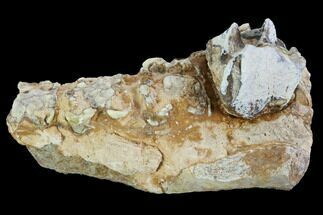 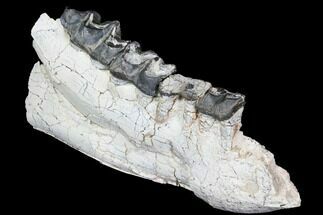 This is a 2.1" long jaw section of Hyracodon nebraskensis. 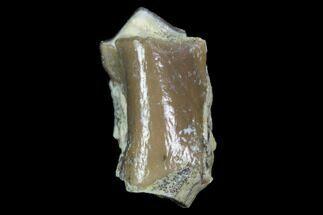 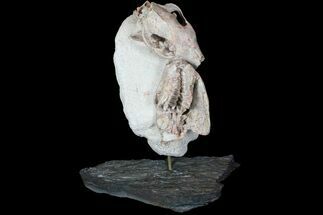 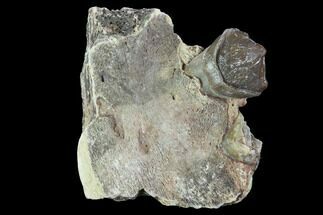 It was collected from the the Brule Formation in South Dakota and would be approximately 32-34 million years old. 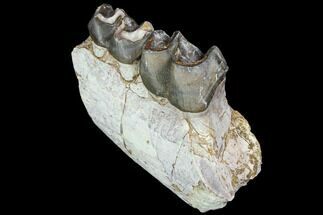 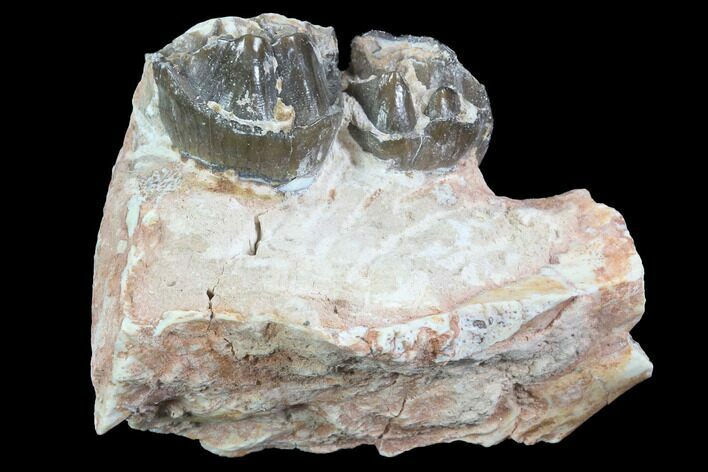 There are two molars still embedded in the jaw.